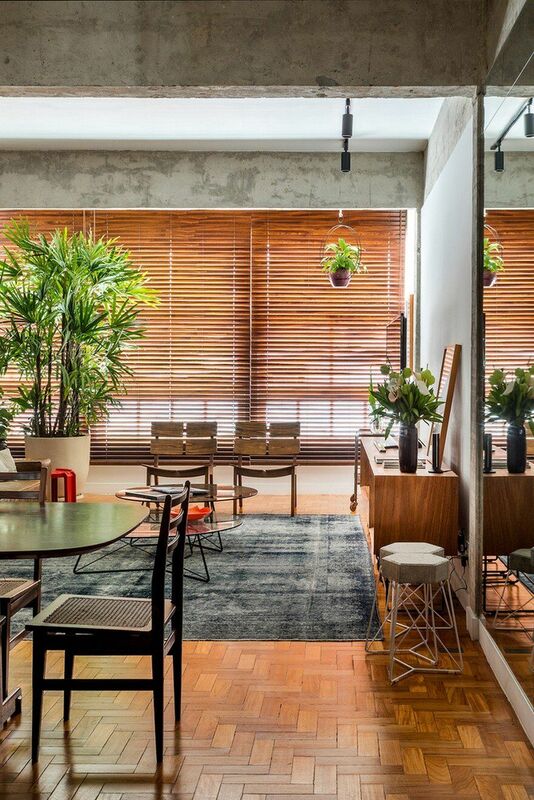 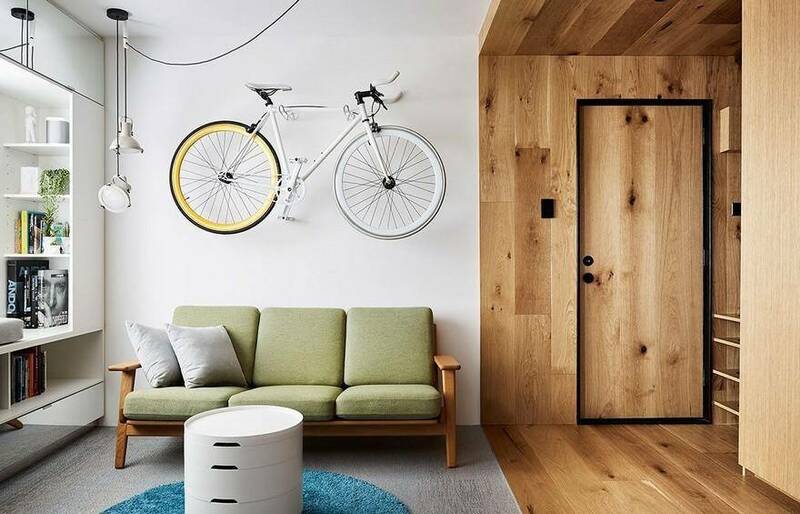 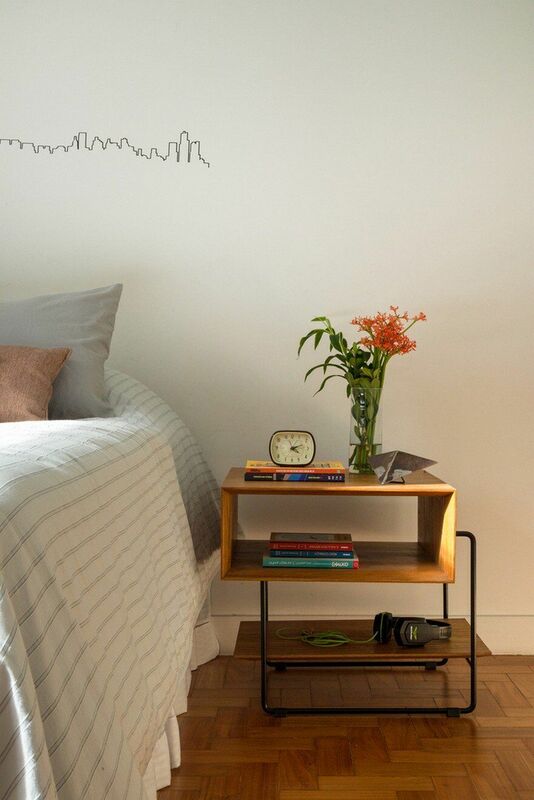 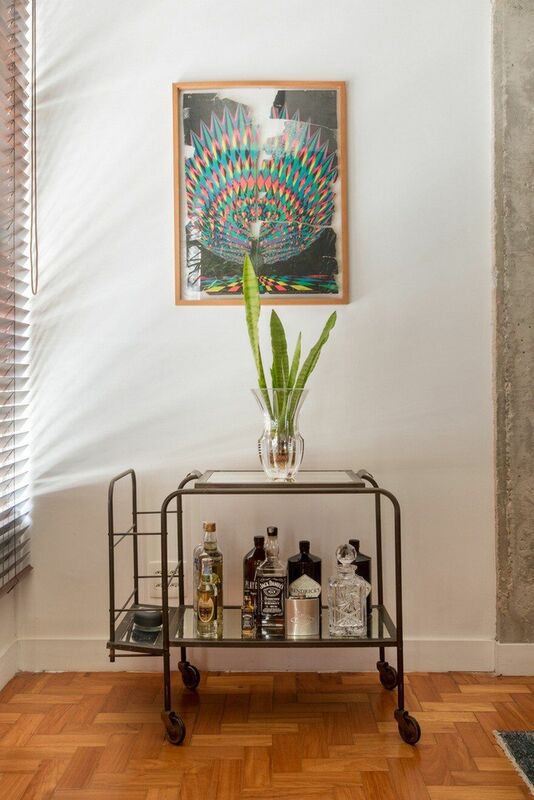 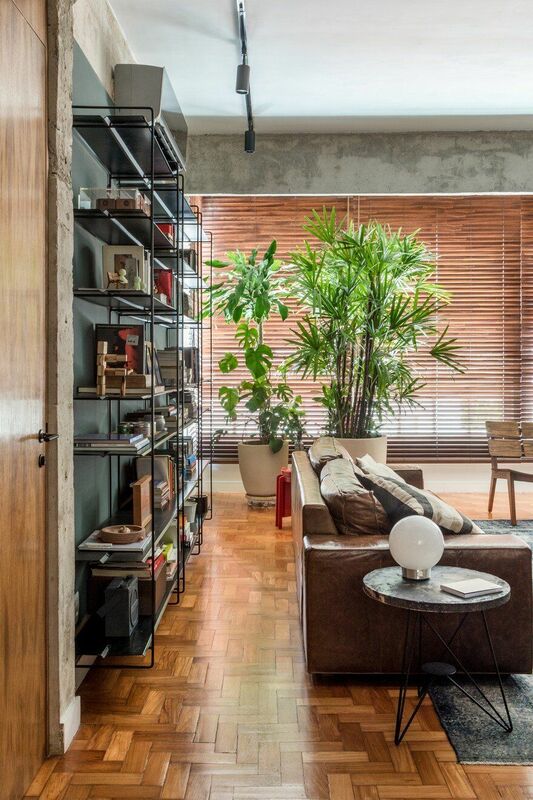 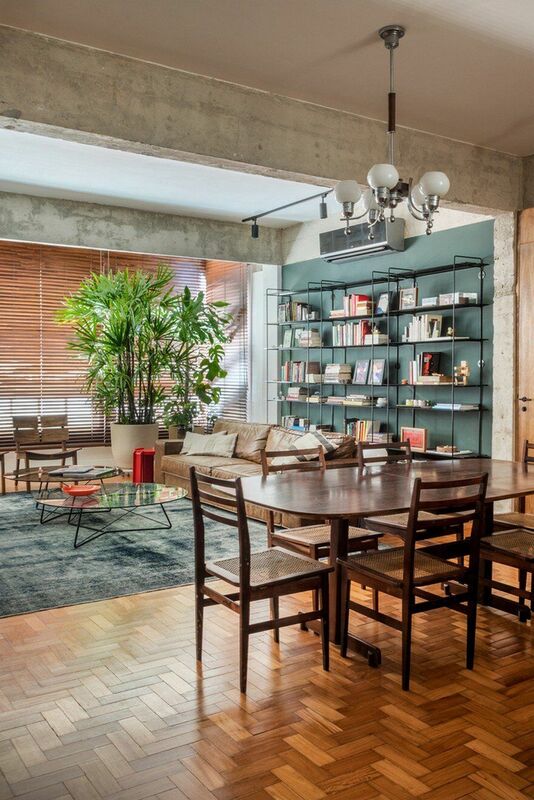 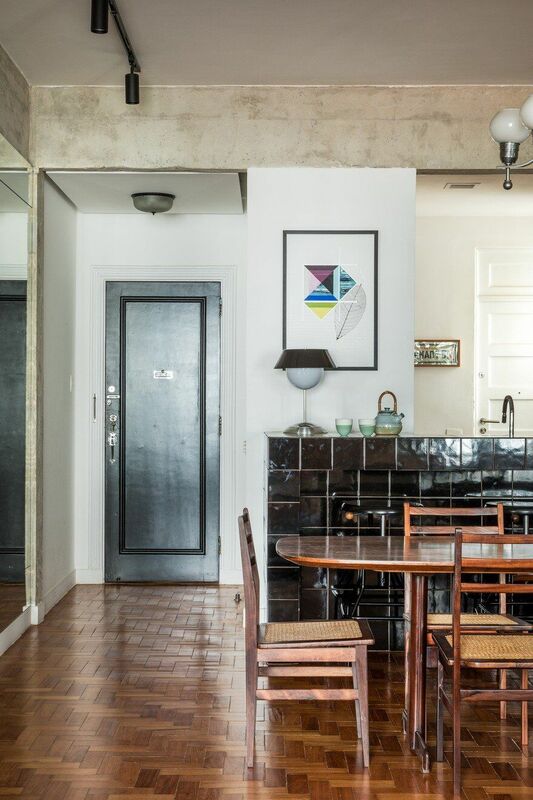 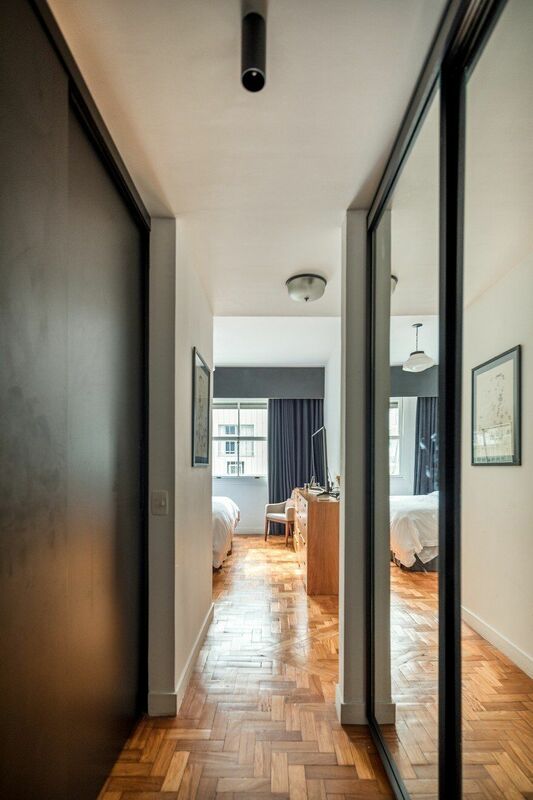 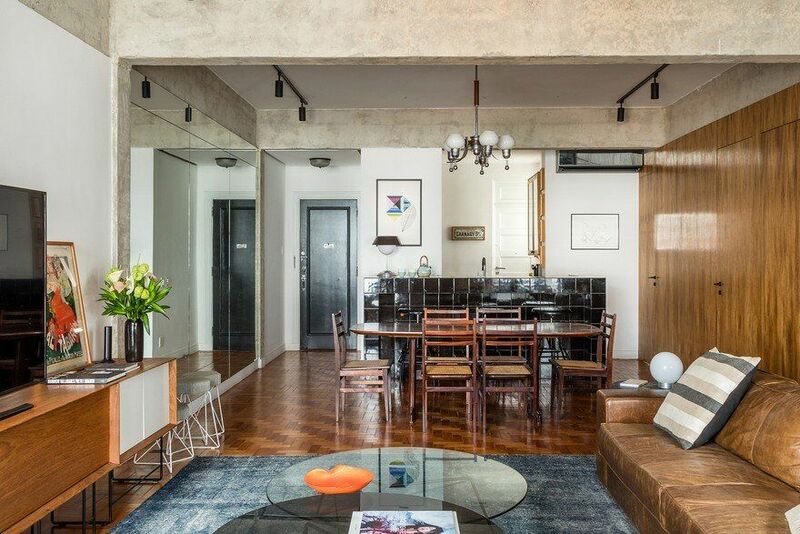 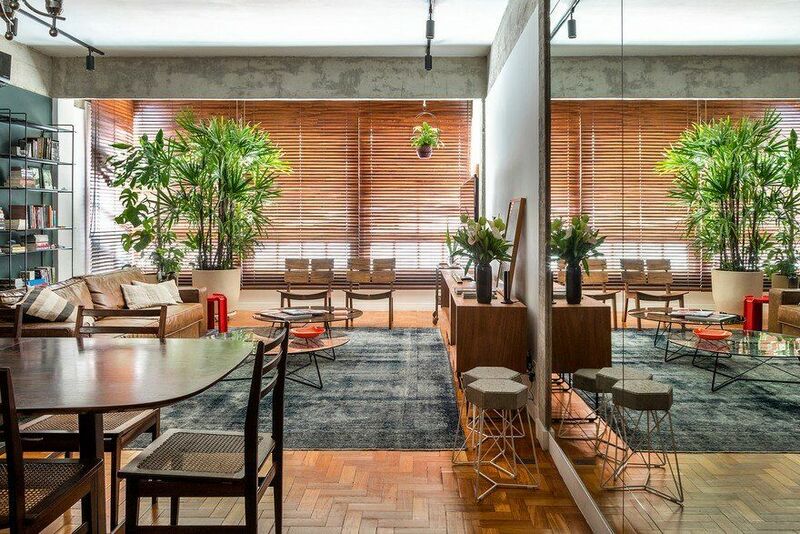 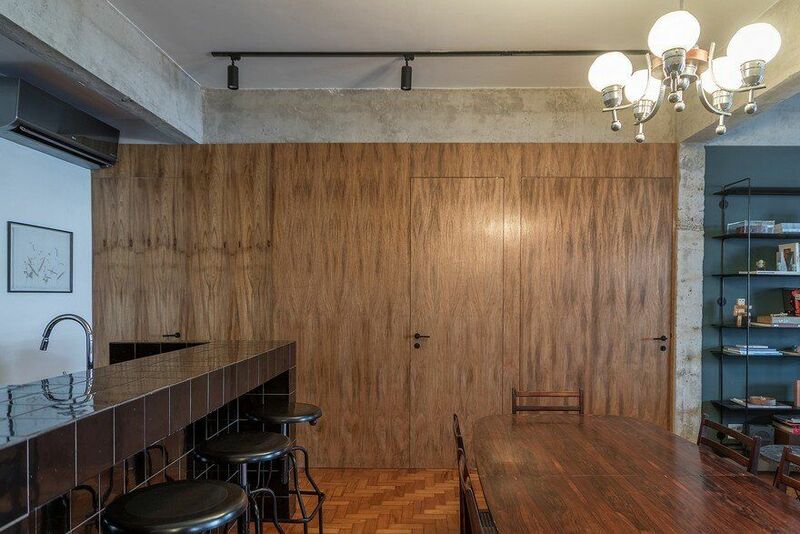 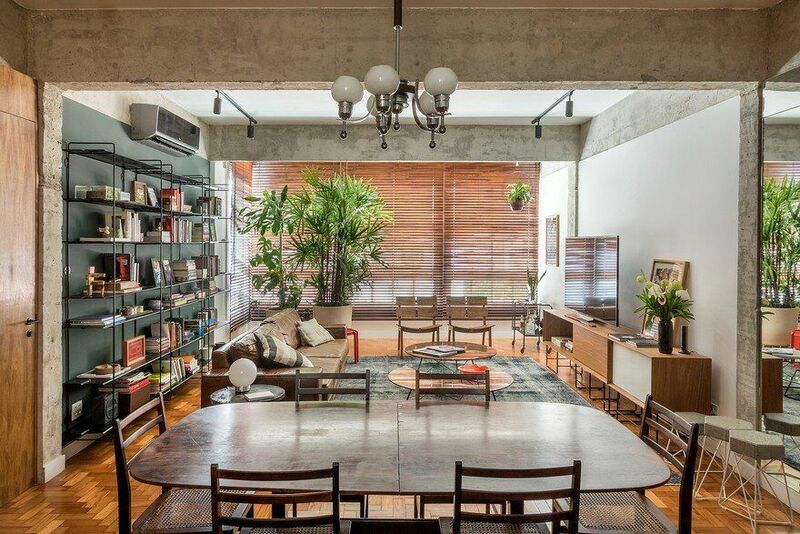 The Leblon apartment is situated in a 50’s building in Rio de Janeiro, Brazil. 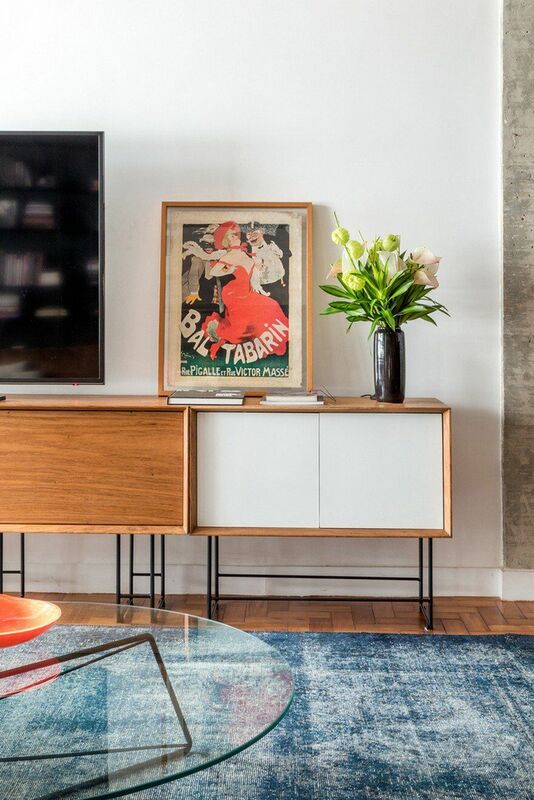 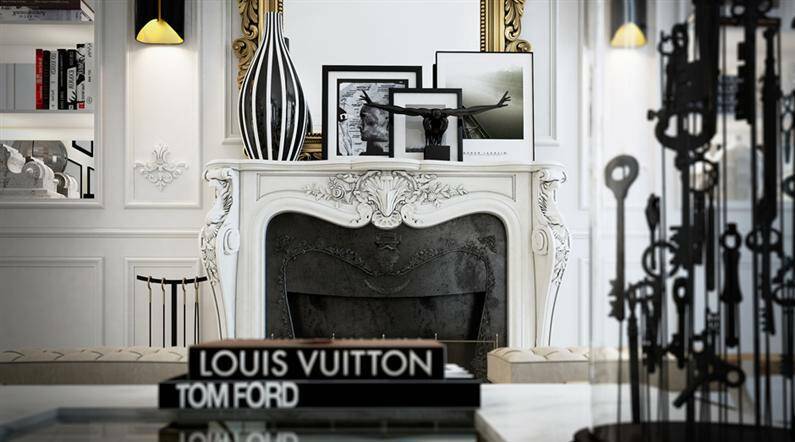 The scope of interior design signed by F.studio was to rescue of materials present in the original apartment and create new environments to accomplish the needs of the new residents. 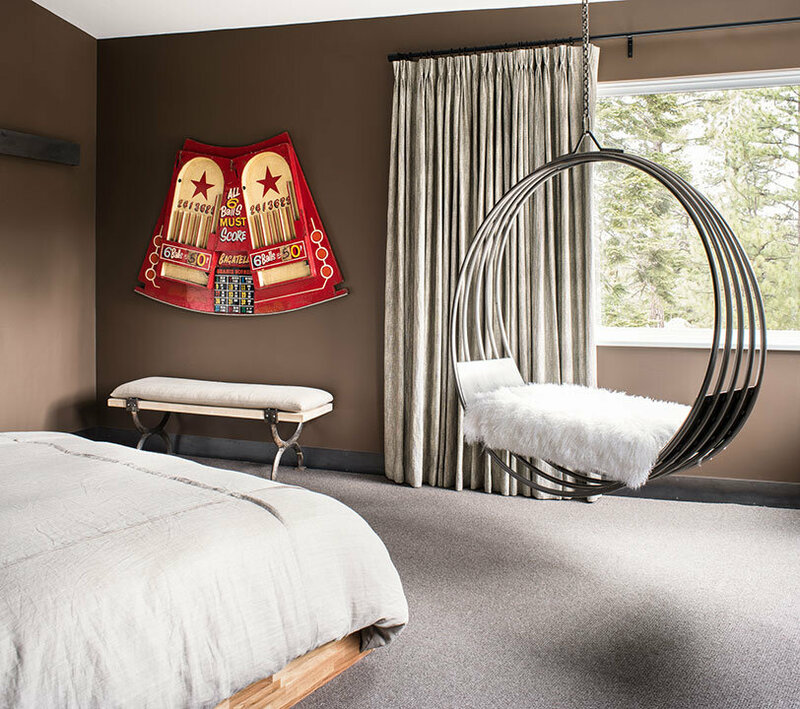 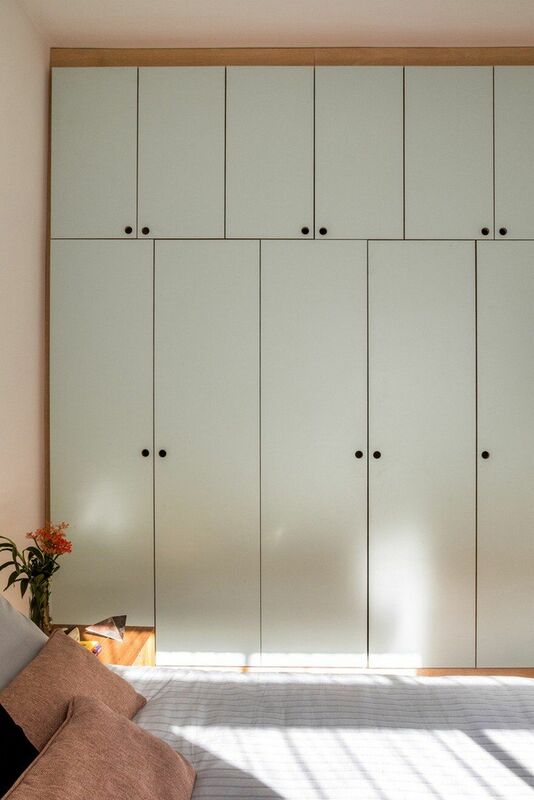 For this, a room was turned into a closet and bathroom from the main suite and the old pantry was used to house a toilet and enlarge the laundry room. 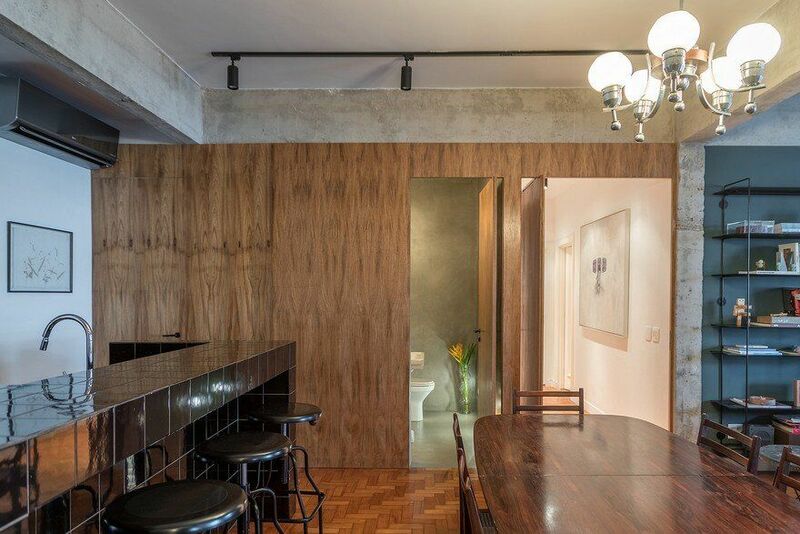 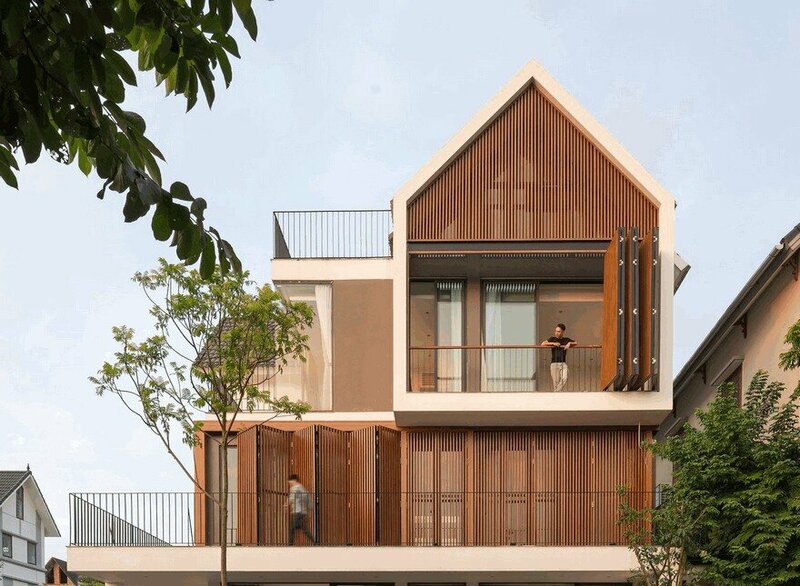 A large natural freijó leaf panel disguises the entrance to the laundry, toilet and, respectively, the circulation of the rooms. 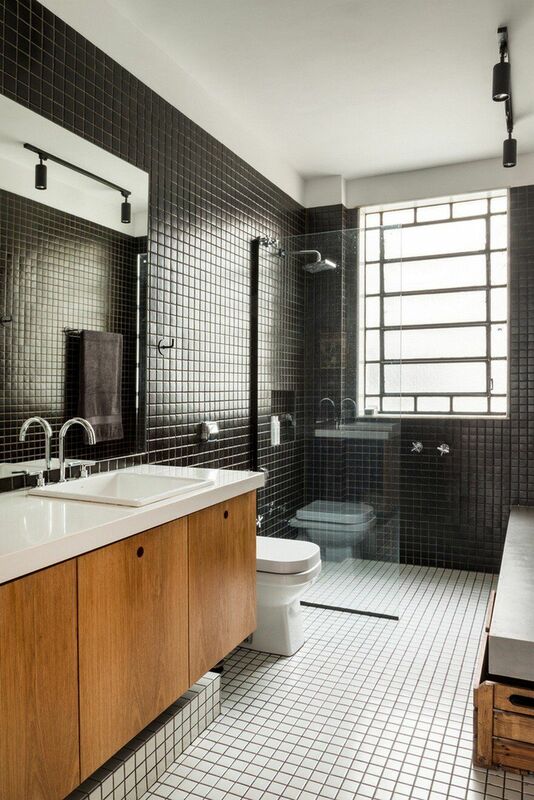 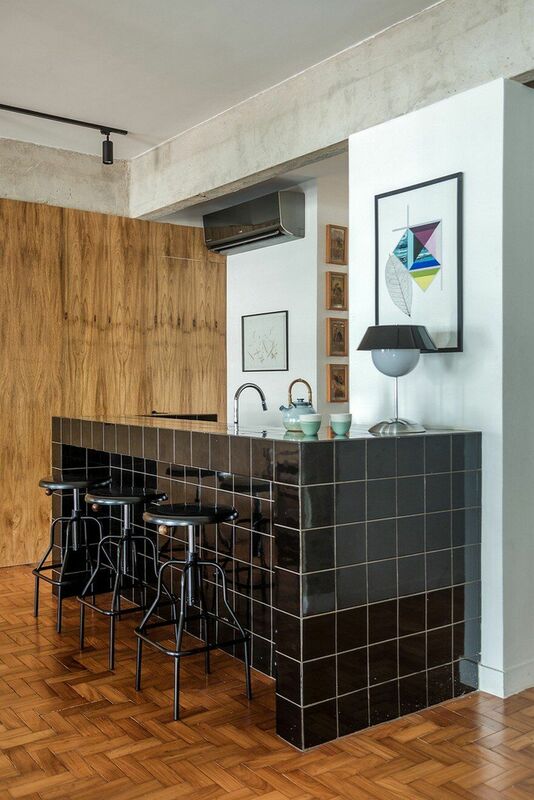 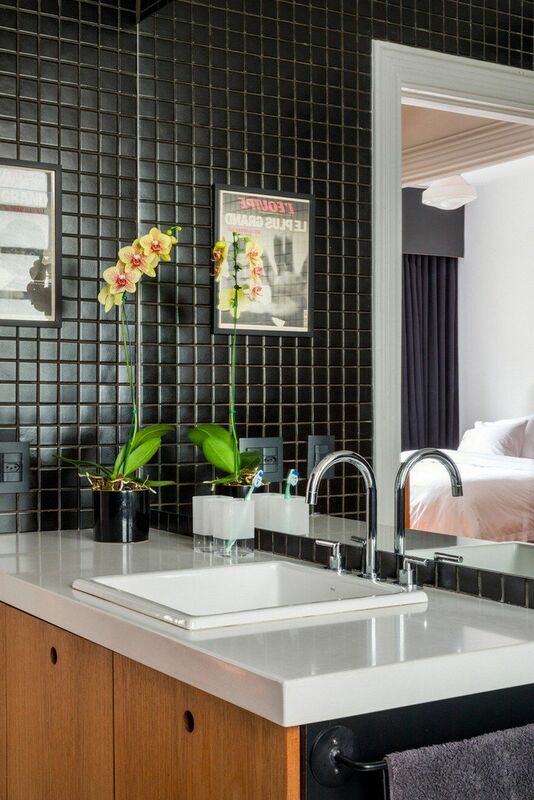 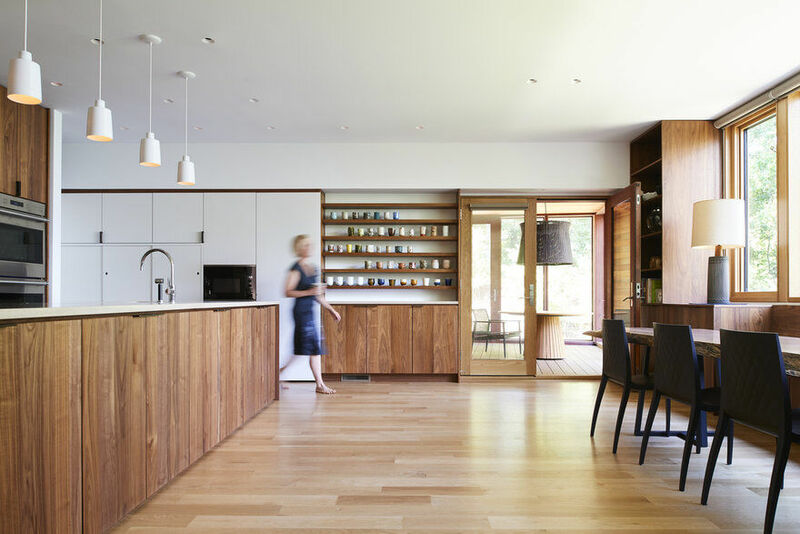 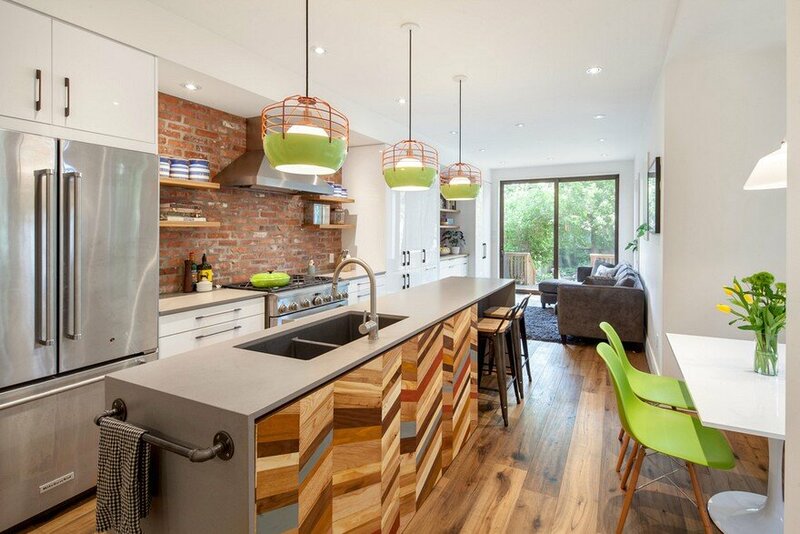 The main premise of the living space was the black-tiled counter, which made it possible to expand and integrate the kitchen. 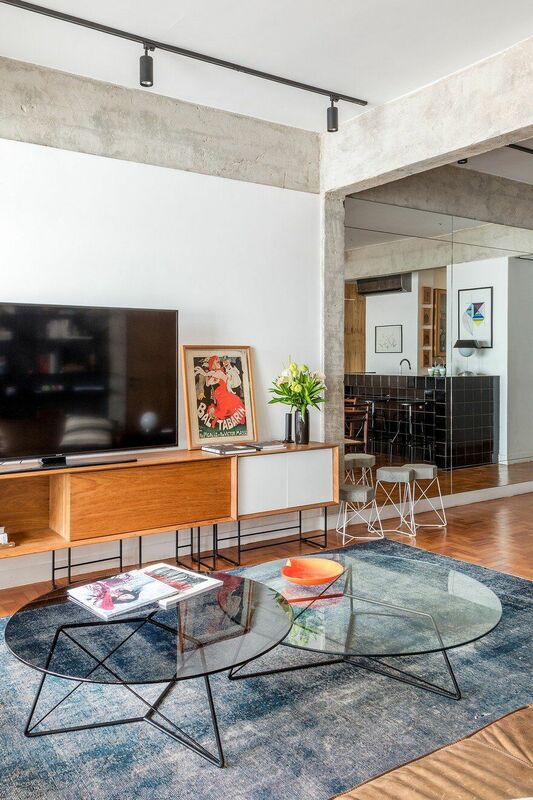 The simplicity of the specified coatings and the peeled structures in apparent concrete serve as a backdrop for vintage furniture, objects and lamps, such as Giotto Stoppino’s tables for the Kartell of the 70’s and the dining table in Rosarian de la Novo Heading with rosewood chairs and natural straw, both from the 60’s. 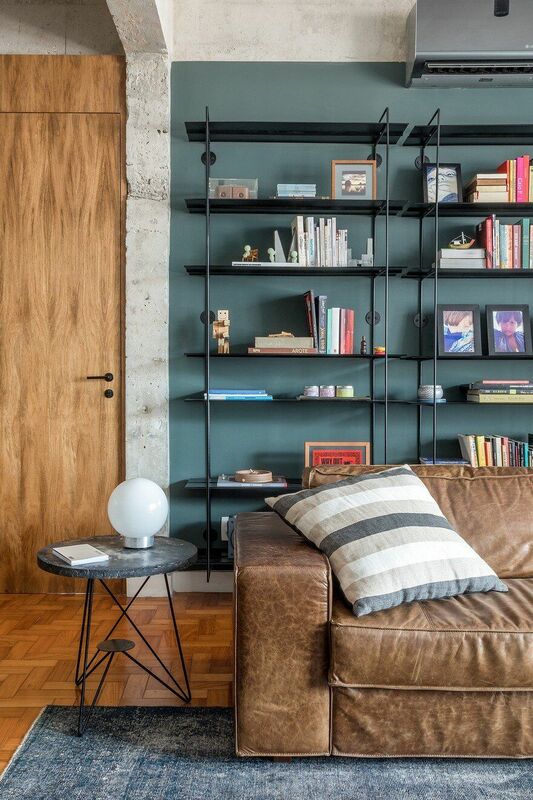 In contrast, the furniture designed by the studio itself compose the environments, with the Dots Shelf, in solid iron and shelves in carbon steel plate; Sideboard “Lina” in freijó and white lacquer and “Pythagoras” Center Tables, with tempered glass and solid iron structure; and the Side Table “2001” in pigmented concrete, among others.